F. William McNabb III is chairman of Vanguard. Mr. McNabb joined Vanguard in 1986. In 2008, he became chief executive officer; in 2010, he became chairman of the board of directors and the board of trustees. He stepped down as chief executive officer at the end of 2017. Earlier in his career, he led each of Vanguard’s client-facing business divisions. Mr. McNabb is active in the investment management industry and serves as the vice chairman of the Investment Company Institute. 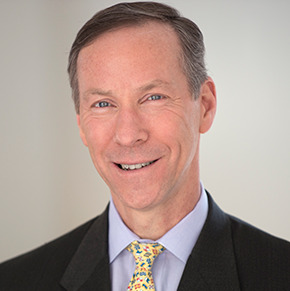 He also is chairman of the Zoological Society of Philadelphia, and serves on the Wharton Leadership Advisory Board and the Dartmouth Athletic Advisory Board. Mr. McNabb earned an A.B. at Dartmouth College, holds an M.B.A. from The Wharton School of the University of Pennsylvania, and was awarded an honorary doctorate from Saint Joseph’s University.